Shamim is an excellent instructor, and she made it possible for me to learn in a kind and patient manner. I actually passed my test at the very first attempt, which I can attribute to her immense support and continuous reassurance. I can’t thank her enough, and I strongly recommend her to any one who desires such an excellent instructor. Thank you to Mitesh for helping me pass my test first time. He was was very patient and took the lessons at my pace which was very helpful. I would highly recommend Dynamic Driving to everyone. Mitesh is the perfect driving instructor to go to if you want to pass first time, as a good driver! He is thorough, patient and understanding. He motivates you and instills you with confidence. I had the right amount of lessons and mock exams to ensure I was fully prepared for my test! Which I passed! A huge thankyou to Mitesh for all the support! I was able to pass my driving test. I would like to thank Shamim from Dynamic Driving whole heartedly for all the efforts she put on me. I was quite nervous with driving, but Shamim made me feel so much at ease, that I started looking forward for the lessons with her. She is a very professional, patient and an encouraging instructor. She was always on time. Shamim was ready to answer any questions I had. She has the ability to identify mistakes quickly and correct them in a very nice way. Thank you so much Shamim for all the effort you put on me. I cant thank you enough. You are a gifted and a talented person who is able to teach even the most nervous driver. I wish you all the best in your future and I would recommend you to anyone who is interested in taking driving lessons. I would like to thank my instructor Mitesh for helping me pass my practical first time with just 25 hours of training. Great guidance and explained everything well. I would definitely recomend him to my friends. I passed my exam and I can’t thank my instructor Shamim from Dynamic Driving enough for her exceptional support and dedication to help me get through my test. I have been particularly impressed with her calm nature, friendly personality and the way she provided me with constructive feedback. She has been very flexible with the timings considering my busy schedule and has always tried to accommodate my request whenever I needed the most. Her way of instruction is simply commendable, explains you in a way that can be easily understood by all. Thank you Shamim for all your support and I couldn’t have asked for more. I would highly recommend Dynamic driving for its exceptional training and for building one’s confidence on the road. I am glad I took my classes with Shamim, who was just BRILLANT with lot of patience and understanding. She is a wonderful instructor, I wouldn't have passed without her support and encouragement. I would definitely recommend shamim and once again shamim thank you very much for all your support. I am really feeling happy & excited for passing the car practical test in FIRST ATTEMPT with dynamic driving. As I've changed two instructors – AA & other private instructor, but none of them have build the confidence levels, not correcting my mistakes in manoeuvres & practically not cooperative with lesson timings. Fortunately, through one of my friend's instructor we heard about you & thought of giving a go with you too..! But, you have met my expectations in the first class itself, so I've decided that you are a good instructor & booked 10 classes in one stretch. Really to be honest, you have corrected my mistakes, taught so many easiest tips in manoeuvres, builded up the required level of confidence to give the test & also your flexible timings with lessons (whereby I can plan accordingly with my son's play school timings), which made me to book the practical test. During the day of the practical test, you have given me enough time to warm up, practised well with all the manoeuvres & reached the test centre WITHOUT any nervousness. So, I've given the test with full confidence & positivity, whereby I've successfully PASSED the test with only FOUR minor mistakes. Hence, you have a boosted a girl's confidence from nothing to maximum and I believe that you have got an extraordinary talent as an instructor. Therefore, I would recommend you to everyone confidently, whoever is interested in car driving. My whole hearted thankful to me because of making my life easier & mobile with the car in this country. Much appreciated for all your kind cooperation. Woohoo!!! I passed my test first time. A big thankyou to Sham who taught me everything i didn't know, from my very first lesson to my last. I couldnt have asked for a better driving instructor. 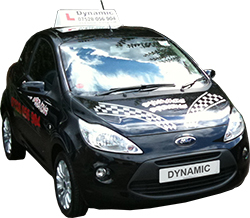 I would recommend dynamic driving to anybody that would like good quality driving lessons. Dynamic driving will give you confidence, a great understanding of the road and will motivate you to succeed. I would recommend anyone and everyone to join this dynamic driving school, if all the instructors are as encouraging as mine! I passed my test today (first try) thanks to Dynamic Driving! My instructor Mitesh was a friendly and patient instructor. He's the best instructor I've ever used. If you lot want to pass go to Dynamic Driving - professional and patient/friendly instructors! I passed my driving test and it was all thanks to Shamim. I couldn't have done it without her. She was patient, understanding, trusting and most of all enthusiastic (even on my bad days). She taught me everything I needed to learn and more. She creates a calm, relaxing and friendly environment, making even the most nervous of beginners at ease. I can't praise her enough. It would be a mistake to not go to her first! The examiner took me to central avenue and he asked to do corner reverse, it took me 4 mins as there was car coming. Anyways he asked me to independent driving to central London hammersmith, it was really easy to do dat. He was great, actually I did know what I was doing thanks a lot to you shamim, your the best ever instructor, your really helpful and great teacher. It was my first time pass, it was brilliant - really really happy. My lessons at Dynamic Driving School have been understandable, enjoyable and perfectly comfortable. I would like to thank Sham my driving instructor, for teaching me these last couple of months resulting in a first time pass! I appreciate all the effort she's put in for me to be the best and safest driver on the roads. Definitely couldn't have done it without the help of Dynamic Driving! Thank you so much for everything Sham!! The eight hours of lessons paid off in the end, my driving instructor and neighbour shamim helped me every step of the way giving me all the help I could ask for with my lessons. Everything was explained clearly and repeated to make sure I understood, after being told by sham that my driving was excellent I applied for my practical test and within 2 and a half weeks after my 17th birthday. I passed my practical test with a clean sheet of no faults/minors. I highly recommend dynamic driving to anyone and everyone who wishes to pass their practical test first time, my test results was all down to Sham and how well everything was explained and the feedback I got helping me along the way. As well as being taught well I didn't feel as if I was sat in a class room being told what to, I felt relaxed when learning even before the test. So there we have it, thanks ever so much to Shamim and the Dynamic Driving School for helping me pass my practical. Glad to be out on the road and feeling safe! Thank you for your help, you are a brilliant teacher you are patient, kind and understanding. l will recommend you to all my friends. You give me confidence in the road you are a good instructor let me know when you will available to take you for lunch. Mitesh was very patient and flexible working around my busy schedule. We went through the syllabus at my own pace so that I felt confident that I can drive with good skills on each area. He would explain why, what and how to do everything before we did them and Mitesh always made notes about the progress which was very helpful. I did a few mock test and he sent mock results and notes each time so I can focus on the area which needed improvement. I would recommend Dynamic Driving School to everyone. I passed the test first time. It's given me my independence and confidence to drive on my own and get to places safely. I would like to thank you for the driving lessons which helped me to groom my driving skill to pass the test with just 3 minors (No repeat error in any category) . Your lessons were rich in information, tips, caution on easy pit falls etc. With your guidance I felt as ease in correcting my driving errors. I enjoyed all my lesson and happy that I passed on the very first attempt since I started taking lesson from you. Unlike other instructors you do not prolong the classes just to make more money but you put forward learner benefit at first. It's not easy to find such sincere instructors like yourself! I would strongly recommend you to all learners. I wish you all the very best for the future. I am here to share my experience about dynamic driving school. My earlier driving lessons with other schools were awful as I felt uncomfortable and scared on the move. I had a very little time before my test this time and was searching on web for quick lessons and booking the test session. I found dynamic driving school and rang Nitesh to enquire. He was very polite and quick to respond. With just 4 hrs of driving over two days, i passed my test. I feel very happy and recommend this school to anybody who wants to get through the test quickly. I held a NZ restricted licence but hadnt driven for a few years and needed to pass my test here, so I took some refresher lessons with Mitesh. He was great, always early to pick me up, calm, thorough and happy to go over and over a manuvour until I was happy I could do it. I felt 100% confident on my test day (apart from the obvious nerves) and passed with just 5 minors. I only needed a few lessons and Mitesh was happy to tailor the lessons for me, which meant getting my licence faster and without paying for extra lessons I didnt need. I 100% recommend Dynamic Driving and will be sending my boyfriend along soon for lessons too! I would like to thank my instructor Mitesh for teaching me how to drive. Mitesh was very patient with me and willing to instruct around my busy work schedule.I would recommend Dynamic Driving to anyone wanting to learn to drive in a comfortable and professional environment. my driving instructor Shamim was an excellent driving instructor and explained everything to me very well, she helped build my confidence when driving and answered any questions i had. I always looked forward to my driving lessons with Shamim and enjoyed my lessons very much. I would definitely recommend her to any of my friends and i am glad i chose Dynamic Drving for my driving lessons. Thank you for helping me PASS!!!! My instructor was Mitesh, I'd had driving lessons elsewhere, but always felt like I was never getting anywhere with them, so I got in contact with Dynamic and the service was fantastic! I told Mitesh how nervous I was and that I didn't have any confidence behind the wheel, but he was very patient and attentive to me and took me round the test routes on multiple occasions so I would know where I was going and what to expect. Mitesh was an EXCELLENT teacher and got me through my test first time! Thank you so much! I really couldn't have done it without him! Prior to taking my first lesson, I was extremely nervous. The thought of solely handling a vehicle was making me panic, but mitesh made me feel at ease. As a new learner, I was naturally prone to making errors. However, mitesh encouraged me to remain calm and boosted my confidence. He was approachable with all queries, especially in the build up to my test. As a result, I passed on my first attempt! Thank you mitesh! Your patient, professional and attentive nature got me through. Dynamic Driving all the waaaaayyy!!! I am quite excited passing my driving test with Dynamic. My instructor Shamim had a systematic way of teaching. She was quite swift in identifying my mistakes and helped me to rectify them in a calm manner. I did not feel driving stressful, thanks to Shamim. I would recommend dynamic and specifically Shamim for a smooth ride!!!! i just passed my driving test recently on first attempt, am very glad that i took lessons from shamim my driving instructor . she was quite professional and helpful, i enjoyed every lesson with her and even though i made mistakes she encouraged me lot. She is always happy to answer my questions, my experience with her was quite good and i am recommending her to my friends too who are interested in driving lessons. I found that I always looked forward to the lessons I had with Shamim. Not only was she a very skilled, patient and professional instructor but also charismatic, outgoing and supportive. I never thought to look for an instructor with those sorts of traits but am truly grateful that I did find one. Lessons were taught with the highest of standards and I found myself telling my friends about my lessons because they were so engaging. My driving lessons are an experience that was unforgettable and because of Shamim I don’t think I would have past my driving test. I have no doubts that I would definitely recommend Dynamic Driving to anyone who was looking for a worthwhile driving instructor. I still remember the first time I had my first driving lesson. Being behind the steering wheel for the first time can be pretty scary but after having a couple of lessons, I was feeling more confident. I chose automatic driving because it is not as complicated as manual. I was lucky enough to have a wonderful and lovely driving instructor. I can honestly say she is the reason why I passed my driving test on the first attempt (with only two minor faults). She not only guided me but she also helped me build my confidence. Experienced, patient and friendly driving school, passed first time! I am very satisfied with the service i got with dynamic driving school and i would recommend it to anyone looking to get their license asap!! I took 11 consecutive lessons and then went for my practical test and i passed first time. Mitesh was very patient and was punctual, he's a man with the plan. Thank you. Passed first time with only 2 minors. The instructor is very good and patient. He knew exactly what I needed to practice to pass the test. He is very focused on the lessons and knows his job very well. During the test I realized I had been to most of the test route at least 3 times during the lessons, which made everything easier. He is also very punctual. I would recommend Dynamic to anyone who wants to pass the driving test quickly. Thanks a lot for helping me pass my driving test! I didn't have a very good experience with my old driving instructor so I was happy to find an instructor who was not only very skilled but patient, punctual and flexible. Mitesh really knows how to teach and to instil confidence in a nervous driver. I couldn't have passed without your help. Thanks again! As you know before you became my instructor, I had a bad experience with a previous instructor at another driving school who used to spend the whole lesson on her mobile, you taught me to drive with lots of patience and allowed me to practice problem areas again and again. You were very professional throughout and taught me to understands how to tackle my nerves, before you became my instructor I never thought that I would pass my practical test, thanks to your patience and support I have finally passed. This is just to tell you about how appreciative my family and I are for your thoughtfulness and patience you showed during my lessons and to say thank you for the way you organised our practise sessions and your punctuality and competence. Your reassuring words and guidance ensured success in the end. Learning to drive with Dynamic Drving School made it easier for me to understand what the examiners wanted from me on the day of my exam. The instructors have a lot of patience which is a key to teaching and learning. On top of that they are easy to work with. This is just to tell you about how appreciative i am for your thoughtfulness and patience during my brief encounter with you. This is just to say thank you for the way you organised our practise sessions and your punctuality and competence at what you do.your reassuaring words and guidance ensured success at only my first practical driving test. To drive , to own my car , to be independent was my biggest dream . My New Year resolution for past 5 years was to learn how to drive ! And guess what ... I finally did it with Dynamic Driving !!! :) I passed my driving test on 07.2010 for the first time and today I'm buying my first car. So my dream came true and for the first time in years I've achieved my New Year resolution :). I'm very grateful and its all down to you Dynamic Driving! I will definitely recommended you to all my friends ! When l joined DYNAMIC, l did not know anything about driving but my instructor, Mitesh changed all that. He was so patience with me. He was always understanding even when l doubted my ability and confidence. l have heard alot of stories from my friends about their instructors shouting at them or even getting angry when they are not doing the right thing but Mitesh was and he is so different. He is calm, patient, helpful, understanding and so cool even when things are not going well, he always encourages and motivates you. When it comes to time keeping, Mitesh is the best. He is always on time whatever the weather or traffic, l just do not know how he does it. l passed my driving test with only 5 minor faults. Thank you so much Mitesh for your help. 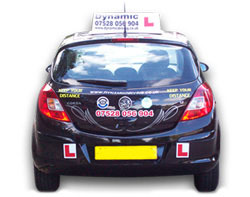 I WOULD definitely recommend DYNAMIC to any one who wishes to start driving and who wants to pass first time. DYNAMIC IS THE BEST!!!! I have passed my driving practical test today in your good guidence. I have been found you instruction very very good. I wish your DYNAMIC DRIVING SCHOOL every success. Thank you. When I joined Dynamic Driving I was not happy with my previous instructor at other driving school, but Mitesh supported me very well and taught me all the skills very well with lots of patience. He help me a lot by providing me the practice of the problem areas again and again. Mitesh is a professional and very good person, he understands how to tackle the nervous students and tackle them with lots of patience. Finally I passed my test with only 3 minor errors. I definitely recommend everyone to take their driving class with Dynamic Driving. With Dynamic Driving i found that the instructors are very proffesional and very punctual, they are extremly helpfull and they will do their best to maximuse how much u learn in the lesson. I found them to be very helpfull and they made sure i was ready for my test before i went and as a result i passed with a very good standard now i feel more confident as a new driver. I strongly recomend this school to any new driver. My instructor was very understanding and explained very well, i am overjoyed to have passed first time! This is all thanks to my instructor who helped me with my driving skills and to build my confidence. I would definately recommed my instructor to all my friends and family and thank you for being so patient with me. Whilst learning Mitesh kept me focused, motivated and up-to-date on my progress. He spoke about each manouevre and obstacle in simple and understandable language and was always ready to tackle questions. He was flexible and always prompt to respond to txt's and voice mails. I feel like a safe driver now that I have passed (22/05/09) and I have no hesitation to get on the road on my own in my own car.I would recommend Mitesh to anyone who wants to learn how to drive. Both the knowledge and professionalism at the Dynamic Driving School was evident from the start. I fast became a confidant and safe driver, and would heartily recommend this company to anyone. It enabled me to pass first time! Their hands on approach to teaching was enjoyable and refreshing, and taking their extra Pass Pluss lessons meant I was always improving as a driver. Thank you Dynamic Driving!